I’m really delighted today to have received an email telling me that I have been shortlisted for a really exciting commission. 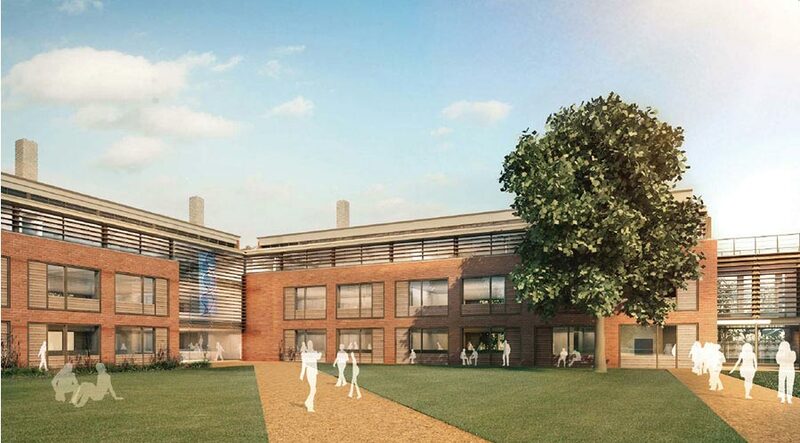 The commission is for an artwork to be installed in the entrance to a new science centre at a school outside Oxford. The building is currently in the construction phase and is due to be completed next year. The artwork would be placed within the three storey main staircase, visible from the outside through the glass fronted building. I have got through the first stage of the application process with a proposal that took me quite a while to prepare. Amazingly the concept for this artwork came to me almost instantaneously upon reading the brief. It has only ever happened once before where I have a complete image in my head of the final piece, without drawing or sketching to develop the concept. The problem was then to actually get it down on paper, and as I worked on the sketches for submission, the days seemed to evaporate. Finally the deadline day arrived and my proposal was ready but I was slightly shocked to see the size of the digital submission…. 122MB of data was finally uploaded to Dropbox, with a note of apology! My computer was creaking under the weight of it! Anyway, the selection committee must have been able to open it, as my proposal was put forward as one of 5 from the original group of 64 artists who applied. I will have an interview in a couple of weeks to further lay out my ideas, so it’s back to the old drawing board for some R&D.